Dr. Gerald I. Dewey is a Consultant at Command Group. Dr. Dewey brings an accomplished background in targeting and analysis from an extensive career with U.S. Department of Homeland Security (DHS) and U.S. Customs and Border Protection (CBP). He is a recognized expert in passenger and cargo screening programs and technology-driven national security initiatives. Additionally, Dr. Dewey is a certified Project Management Professional (PMP®) through the Project Management Institute. Most recently, Dr. Dewey served as the Director of Advanced Analytics for the Targeting & Analysis Systems Program Directorate at CBP. As Director of Advanced Analytics, Dr. Dewey managed innovative new efforts supporting passenger and cargo targeting for the CBP National Targeting Center (NTC) and the Office of Intelligence and Investigative Liaison (OIIL). During this time, Dr. Dewey completed a five-year plan for the analytics group, and delivered an interactive U.S. airspace viewer as part of the visualization effort. Previously, Dr. Dewey served as the Liaison Officer to the Joint Office of Program Management-Ministry of Interior (OPM-MOI) at the DHS Office of International Affairs in Riyadh, Saudi Arabia. As Liaison Officer, he coordinated engagements involving infrastructure protection, cybercrimes, passenger and cargo targeting, security capacity building, and air marshal service between DHS components and the Kingdom of Saudi Arabia’s Ministry of Interior. Prior to his Liaison Officer position, Dr. Dewey was the Acting Director of Data Management for the National Targeting Center at CBP. He was responsible for data acquisition, both domestic and foreign, in order to increase targeting effectiveness. Under this title, Dr. Dewey formed the NTC Data Management Branch under the Office of Field Operations, leveraged critical new data sources to augment targeting efforts, and created multiple targeting enterprises with foreign partners. 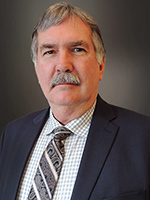 Dr. Dewey also served as the Director of Passenger Targeting for the Targeting & Analysis Systems Program Office at CBP where he directed software development and maintenance over multiple Automated Targeting Systems, including Passenger, Land Border, Targeting Framework, and Global Systems. During this time, Dr. Dewey implemented new real-time data acquisition routines that led to the apprehension of high-visibility suspects. In addition, he oversaw improvements in entity resolution algorithms, which reduced the NTC workload by 40% without compromising effectiveness. He also led significant international engagements that included the development of turn-key targeting software solutions for U.S. trading partners. Dr. Dewey received a Ph.D. from the University of Illinois in Cognitive Science and a Bachelor of Science from the State University of New York.